Dozens of new I.C.O’s launch daily with speculative plans and minimal experience. 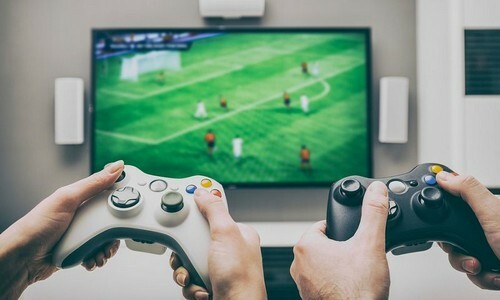 The advantage Gameflip has over other I.C.O offerings is that they are already a successful company with not only a large user base but critical industry ties. Early advising supporters are the founders of top global publishers such as Electronic Arts, GREE and Bigpoint. Founded just a short few years ago, Gameflip established themselves as marketplace innovators. As such, Gameflip’s pre-ICO sale exceeded expectations, achieving well over its target. With a built-in userbase over 2 million gamers able to transact on their platform, the interest was unprecedented. Investors swarmed to be a part of FLIP, the digital token and blockchain ecosystem which plans to revolutionize the gaming industry. With well over 2 billion gamers worldwide and over 100 billion dollars in annual sales, the earning potential is virtually limitless. Millions of hours and dollars are spent weekly in efforts to unlock rare in-game items and rewards. The value of these human resources and funds have had no investment yield up until now. The value becomes nil as gamers move onto different games or platforms, unable to sell. The worth of these items is a treasure which Gameflip plan to unlock globally, benefiting both gamers and publishers. Seeking to give gamers true ownership of their digital goods, Gameflip users can trade their in-game items for cash or other game items. Publishers will earn a commission from every transaction. With an increase in fraudulent sales on forum sites a need for a trusted ecosystem devoid of fraud is imperative. Moving and expanding their current marketplace onto the blockchain also further globalizes their business potential. Gameflip was founded in 2014 by the team of industry veterans that built Aeria Games, a leading game publisher. Backed by top venture capital firms, Gameflip has gone from strength to strength in this short time, forging relationships with publishers keen to participate in their expansion. These relationships are crucial to success as the adoption of the technology by publishers and developers is imperative. FLIP uses Etherium blockchain technology and ERC-20 token interface. The soft cap target is to raise 5 million dollars enabling them not only to expand their existing marketplace onto the blockchain but also to launch a beta test period with publishers. The December public sale has a minimum investment of 0.1 ETH and no maximum. The sale will cease three days after the cap of 30 000 ETH (or 43 200 000 FLP tokens) is reached.